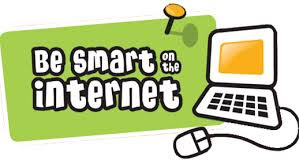 W e will have Internet/Social Media Safety Training with our students tomorrow, November 7th. Parents are welcome to attend this with their child(ren). Please see below for the schedule. There will not be a presentation specifically for parents this year, but we will videotape the student presentations and make them available for parents to watch. Please note that you may contact Alicia Sloan, our technology teacher, if you have questions that the presentations do not answer. Please remind your student to avoid consuming snacks that contain nuts on the playground. There are a number of students who have food allergies, of which nuts can be the most dangerous/sensitive. Although we are quite vigilant about items that contain nuts at lunch, snacks at recess are harder to govern. If a student in your child’s class has a nut allergy, please err on the side of caution, when choosing your child’s recess snack. We are not a nut free campus, however, we must be aware. We will have hearing screening tomorrow, November 7th for students in grades K, 2, 4, 6, 8. If your student is not in that grade and you would like their hearing check, please contact the school office. 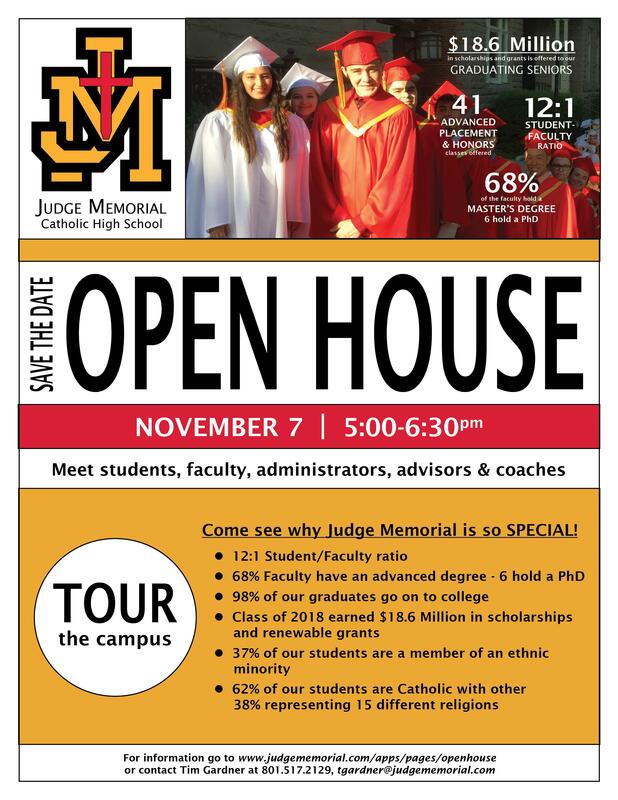 Judge Memorial Catholic High School will hold a Fall Open House this Wednesday, November 7th from 5:00 – 6:30 p.m. All are welcome to attend the Open House. Experience why Judge is the right choice for you and your child. Judge takes great pride in offering a campus steeped in academic excellence, community service, wonderful traditions and deep faith. Judge is a special place. Click here for more details. Please note that there is no school Friday, November 9th for Professional Educators Day. Extended Day will be open. If you are planning on having your child attend Extended Day, you will need to send them with a cold lunch or you can purchase hot lunch. The 7th Annual Trivia Night will be held in the Benvegnu Center on Friday, November 16th from 6:30 to 9:30 p.m. It’s just 10 days away, so get your table together and prepare to test your trivia knowledge. Tickets are $15 per person (Adults Only). You and your group bring appetizers and drinks to share and socialize at your table. As trivia questions are read, you discuss among your table and jot down your team’s answer. Doors open at 6:30 pm. and question rounds begin at 7:00 p.m., so don’t be late! There will be seven rounds, and prizes will be awarded to top teams. Reservation forms are online here or in the school office. Please return them by Wednesday, November 14 so we can ensure all participants are on a team. Jenny Benton, Saint Vincent School Secretary for 12 years, recently passed away. A funeral Mass was held at St. Vincent this past weekend. Our school community extends its condolences to the Benton family and thanks Jenny for her years of service. Thank you to the many helpers who came out last Saturday to rake leaves for the Carmelite Sisters. They were extremely grateful, and we appreciate the Saint Vincent Faith Formation Committee for all their work on this service project. We also want to thank everyone who donated food to our Scare Away Hunger drive at the Halloween Carnival. We turned in 350 pounds of food to the Utah Food Bank. Amazing! A big thank you Erin Arico for making the delivery and overseeing the drive. AmazonSmile is a simple and automatic way for you to support Saint Vincent School. Saint Vincent will receive a donation every time you use Amazon to shop. All you have to do is select Saint Vincent de Paul Catholic School as the charitable organization. You may click on the link below to sign up. We would like to remind everyone who shops at Smith’s Grocery Store to please make sure to enroll your community rewards program, designating for St. Vincent School. If you have enrolled in the past please note that you have to re-enroll every year in order for St. Vincent School to earn their rewards. This means you must register your Smith’s rewards card account to link to St. Vincent School. Please click on the link below for instructions. It is time to register for the Brighton Ski/Snowboard Program. This program is open to all students in grades 3rd – 7th, and takes place after school on Friday afternoons, starting December 7th. You may stop by the office to pick up a registration form or click on the link below. You may also register online at Millcreek Ski and Snowboard Registration. Hot Chocolate Bar and treats provided! Sponsored by the School Board’s Faith Formation Committee. Mrs. Musci, our 8th grade teacher, is looking for volunteers to help judge the Science Fair on January 23rd. She would like the volunteers to have experience with science. 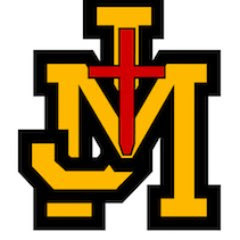 If you would like to volunteer or know someone that you think would be a great judge, please email Mrs. Musci at tmusci@stvincents-school.org. Calling all St. Vincent Super Parents!!!!! Donation solicitation follow-up calls November 5 – 16, 2018. This can be done from home during business hours. We provide you a list of businesses and individuals who were mailed a donation request letter, and you simply call to see if it was received and if they are able to support our auction this year. Raffle counting on Friday turn-in mornings from 8:30 to 9:30 a.m. Turn-in dates are January 11 and 25, February 8 and 22. These are great ways to earn PIP hours! Simply email Therese Clay at tclay@stvincents-school.org to sign up. Thank you, and we look forward to you joining the team! Looking for something to do with all that surplus Halloween candy? Please consider dropping some candy off at the office. It will be delivered to Ronald McDonald House for families who are staying there.